Microsoft might not be reaping the rewards from its Windows Phone platform just yet, but it's still making a killing from the smartphone market thanks to one thing, patents. As you probably already know, patents are hot property these days, you just need to look at the ongoing spat Apple is having with Samsung (and the rest of the industry) to realise their significance. And for those who have ownership of patents licensing them out can result in big money, almost $800 million (around £510 million) big in Microsoft's case. Analysts at Trefis estimate that patent royalties paid to Microsoft in the last quarter by Samsung and HTC alone amount to $792 million (around £500 million), and claims HTC pays the software giant $10 (around £6) for every Android device it sells. Samsung on the other hand is reported to pay Microsoft between $12-$13 (around £8) for every Android smartphone it shifts – and consider that the South Korean firm is thought to have sold 52 million smartphones last quarter, you can see why the royalty payments have hit such staggering heights. 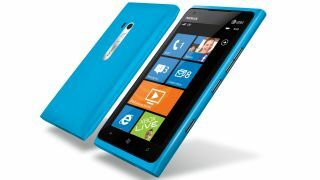 Last quarter saw an estimated 5.1 million total Windows Phone handsets sold – way off Samsung's total – and it's clear that the royalty payments are big business for Microsoft, as it continues to plough $250 million (around £160 million) per quarter into Nokia as it attempts to see its platform succeed.